It took 21 volunteers two full days to “muck out” just one of the 5,000 homes in Cedar Rapids affected by the severe flooding that has decimated parts of Iowa since May 25. The floods forced more than 40,000 Iowans from their homes and 86 counties are still considered disaster areas. When I was asked to participate in this two-day mission to Cedar Rapids, sponsored by JUF’s TOV Volunteer Network in partnership with Nechama - Jewish Response to Disaster, I gladly said yes. 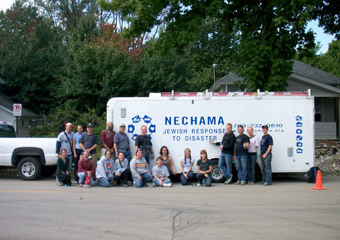 Nechama—which means “comfort” in Hebrew—is the only on the ground disaster relief organization with a Jewish mission. Nechama responds to the floods and tornadoes that cause damage and disrupt lives in the Midwest each year. While I work at a non-profit, I spend most of my days at a computer and it’s great to get out into the field and actually participate in some of the missions we spend so much time behind the scenes supporting. But I’m not a tough girl. I don’t like camping or being dirty for long periods of time. I gravitate toward volunteering in soup kitchens not cleaning up polluted beaches. Apprehensive about my skills and having trouble fathoming what this declared disaster area would look like, I thought about my own limited understanding of a flood, which involves my parents’ basement, a sump pump, and some new carpet. I nervously boarded the bus with the other volunteers. Our group ranged in age from 18 to 60. 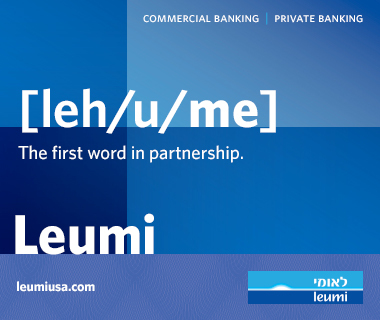 There was a rabbi, a few students fresh out of school, someone who had just moved to Chicago and several businessmen. A few of the volunteers had experience with disaster clean up and had made trips down south to areas decimated by Katrina, but for most of us this was a first. To my surprise, the house we worked on was nine long blocks from the river, on a typical middle class street northwest of downtown Cedar Rapids. The whole area was a ghost town--not one person inhabited a home for blocks. We arrived around noon. Dressed in our worst clothing, facemasks, eye goggles, gloves and hard hats, we entered a house covered in mold. The walls were rotting, all the appliances and tile floors were covered in thick, dark scum and the carpets had turned black. We began by removing the carpets with glorified exacto knives. We had to cut through not only the carpet, but the thick layer of mold that had grown on top of it. The walls came down next. You could mark the water level by the mold that rose nine-feet high on the walls. We hammered through the drywall and cracked through the next layer of wood. 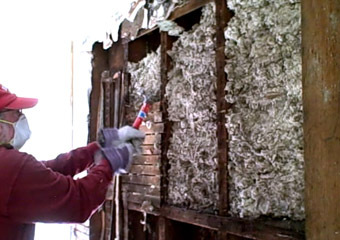 Most of the two days of labor involved pulling out the wood, drywall, and insulation, and sweeping and removing the contents of the home. 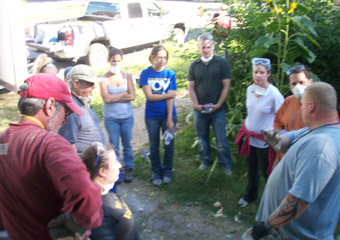 Even with a large group it was a long, labor intensive job. 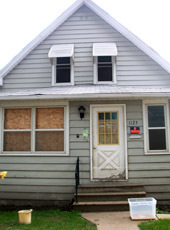 "These home owners lost everything and they don't know where to begin to repair their homes," says Rachel Friedman, TOV program associate and an Iowa volunteer. "We as volunteers were able to come in with the proper tools supplied by Nechama and remove everything damaged by the flood to give the family back a house that can be rebuilt." While we never got to meet the homeowners of this particular house, several of us were able to speak to another family that lived a few doors down. Charles and Florence Jacobs, a retired couple with six children, own three of the homes on the street. They live together in one and rent out the other two. In a way, they were lucky; their homes are now safe enough to enter- unlike the home we were working on. But while they are allowed inside, five months after the flood they still don’t know where to begin to fix the damage. And, they say that the government hasn’t been able to give them much guidance. “The city is looking to the state which in turn is looking to the federal government to tell them what to do,” says Florence Jacobs. In the meantime, the Jacobses return to their homes each week to mow the lawn and keep the yard raked. Looking toward the future, they plan to plow when winter rolls around and say that the neighbors will do the same. But Charles and Florence are split on exactly what the future will bring. 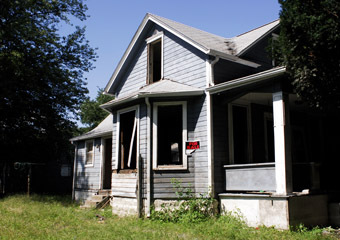 Florence wants to sell (the street is littered with For Sale and Do Not Trespass signs) while Charles has already applied for a building permit to start rebuilding one of the homes. “The last time we flooded was in ’93 and it came up to the third step in the basement. There hasn’t been a situation like this since the 1800’s,” says Charles Jacobs. He estimates that just to rewire the electricity and install a new furnace in one home will cost him $16,000. For the 5,000 homes just in Cedar Rapids, the cleanup process would take months at a rate of three to four homes per week. And even if that approach was best, FEMA has to assess each house before volunteers can get in and start working—and FEMA assessments can take months. It would be easy to get discouraged by the pace at which people receive the help they need but Shiffman is proud of the work Nechama does and optimistic about the group’s ability to get people back into their homes faster. This rang true for the Jacobses, who repeatedly complimented us all for making the trip from Chicago to help their community out. They said that there had been many people like us and it was wonderful for them to see how much people care. I know that many of the volunteers enjoyed working on the home and would have readily stayed longer to work on another site. Now, just a few days after the mission, I am aware that Ike is barreling down on Galveston and parts of Houston, Texas. I just checked The Nechama Web site—the group has already begun preparations to travel down to the devastated areas to begin another daunting clean up process. Despite my not being a tough girl and distaste for getting dirty, the emotional reward was so great that I may sign up and head down to Houston to help out.